Manchester United started their Champions League campaign in a winning fashion, beating Young Boys comfortably 3-0. Now the attention is turning towards Wolverhampton, who are visiting Old Trafford this weekend. It will be a nice occasion for Man United fans, as the boys are returning after three consecutive matches away from home. They were also three consecutive wins, which will help for improving the mood in the stadium. However, on Thursday, there were some interesting quotes swirling around from Wilfried Zaha. Former Manchester United player and Crystal Palace’s main star talked to Shortlist about the tough times he had at Manchester United. He offered some unique insight into things we knew nothing or almost nothing about. “There were rumours that the reason I wasn’t playing for Manchester United was because I slept with David Moyes’s daughter, and no one attempted to clear that up. So I was fighting my demons by myself, these rumours that I knew weren’t true”, Zaha started the conversation. It was a story that did him no favours and the player is obviously still aching about those times. “I was dealing with this at 19; living in Manchester by myself, nowhere near anyone else, because the club had a hold over where I lived. They hadn’t given me a car, like every other player. Nothing. I’m living in this hell by myself, away from my family”, says the Ivory Coast international. In such situation, Zaha admits, it was tough for him. He was still a teenager and having to deal with those things, as well as playing for one of the biggest clubs in the world was no easy task for him. “When I was at United I had (money), but I was still so down and depressed. People think your life’s different because you’ve got money, you’ve got fame, so they don’t treat you the same”, Zaha admits. And that is where he hits the nerve. Fans do not know what is happening for most of the time behind the scenes – away from the football pitch and everything we see on television. There are numerous things going around and media and fans are too often eager to point fingers after rough spells. It is the way things work these days – negative news are always better and bring more reactions. 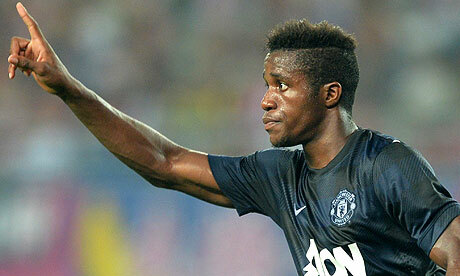 But it is obvious Zaha had a hard time at United. This is also important from a current perspective in regards to Manchester United. Luke Shaw recently also spoke of the issues he had, not just with injuries, but with people judging him looking from the outside in. Maybe next time when players have rough spells and are not doing too well we might need to ask different type of questions, instead of pointing out and judging without enough information.